The influence of dissolved inorganic nitrogen (DIN) enrichments on cell-normalized carbon uptake rate, chlorophyll a content, and apparent cell size of a picoeukaryote (<1 μm) (Ostreococcus tauri, the smallest eukaryotic cell) from a natural summer phytoplanktonic assemblage (<200 μm) in a northern Mediterranean Lagoon (Thau Lagoon) was studied in 20-L enclosures in June 1995. The natural planktonic community was incubated in situ for 24 h with initial ammonium and nitrate enrichments and compared to a control without enrichment. O. tauri cell-normalized productivity was estimated from the combination of flow cytometric (FCM) enumeration and 2-h (radioactive) carbonate incorporation measured on post-incubation size fractions (<1μm). No difference between the effects of the two DIN sources of enrichment on the studied biological parameters was measured during this experiment. Growth of natural O. tauri was perturbed by the low DIN availability in the control with drastic changes in cell productivity, chlorophyll content, and cell cycle (from the variations in apparent cell size) as compared to the DIN sufficiency conditions. On the other hand, a very high specific growth rate for natural O. tauri, up to 8 day−1 under DIN enrichments, has been estimated from production and abundance data obtained during this experiment. 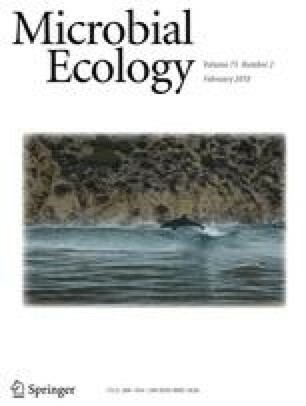 This supports values measured in culture and suggests that the yearly high contribution of picophytoplankton to the total primary production in Thau Lagoon is likely to be due to their high growth rate rather than the previously suggested lack of grazing pressure. This work was supported by CNRS, University Montpellier II, IFREMER (URM 5). We thank three anonymous referees for insightful comments on the manuscript. This paper represents a portion of a thesis of the University Paris VI of Eric Fouilland, who received a BDI fellowship from CNRS and IFREMER. This is an ISEM 2004 contribution for Chantal Descolas-Gros.